The storytelling revival started in 1973 with the first National Storytelling Festival in Jonesboro, TN. 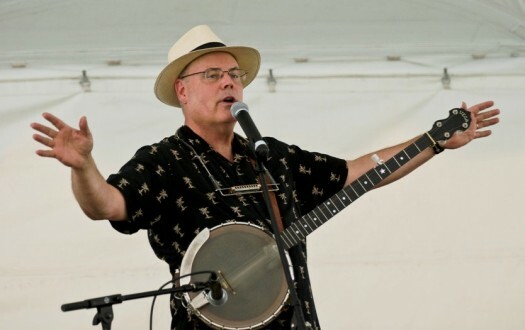 I had been collecting mountain songs and stories since the late 1960s and started incorporating narrative tales into my music concerts, unaware that other folks were becoming professional storytellers. In 1976 I was invited to tell at the National Festival. What a thrill it was to meet other performers using folk tales and true life stories in their shows. From then to now the storytelling revival has grown into a world wide phenomenon. Here are my recordings and books of stories. There is something here for every age group, from children to adults. 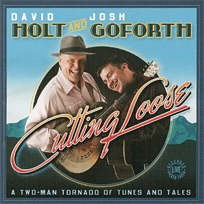 This is the first duo CD by David and Josh Goforth. It was nominated for a Grammy in 2009. 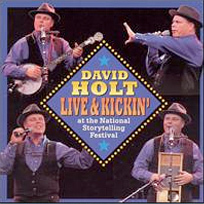 Recorded live at the National Storytelling festival the CD captures the excitement of a rollicking concert with David and Josh. 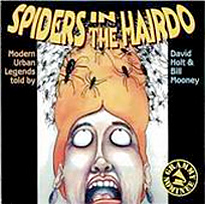 by David Holt and Bill Mooney Grammy NomineeHear tales about the likes of Rabbit, Bear, Frog and Miss Fox – amazing and outlandish characters having funny and outrageous adventures. 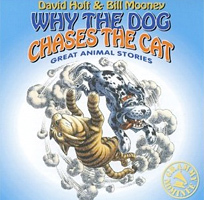 So why does the dog chase the cat??? Ages 4 and up 40 mins. Grammy NomineeThe funniest, scariest, and downright weirdest urban legends going around today. 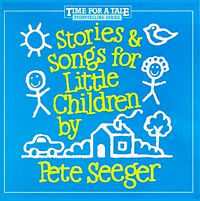 by Pete SeegerA warm positive collection of Pete Seeger’s greatest hits. A masterpiece of lively banjo playing and endearing storytelling to be enjoyed for years to come. 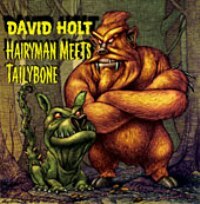 Hairyman Meets TailyboneDavid Holt brings together a new collection of favorite all ages will enjoy. Find out what happens when Hairyman meets Tailybone. 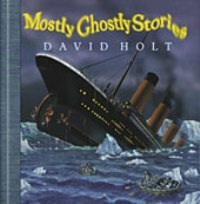 by David HoltThis Collector’s Edition is a new array of favorite spine-tingling tales to keep you spellbound and on the edge of your seat. Not for the faint of heart!